Life moves fast. Too fast, really. Between the meetings, activities, e-mails, commitments, events, and texts, it’s easy, if not commonplace, to run out of time. Days turn into weeks, weeks turn into months, and months into years. Dads understand this firsthand. Jeff Rouse is a dad of one daughter. When she was young, he began taking her out on dates. Life was growing busier with running a restaurant, and he knew he needed to designate time to make her feel special – where she could have his full attention. The time with his daughter, now 21, was so significant, he wondered how he could help other dads create the same memories with their daughters. He decided to start with his own restaurant, inviting fathers and daughters throughout his community to come enjoy a Daddy Daughter Date Night. 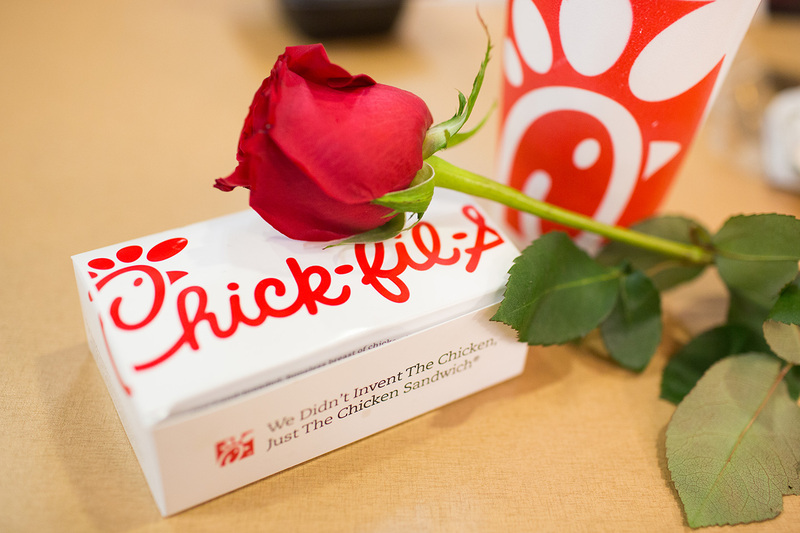 Eight years since that first date, the owner of Chick-fil-A at Olatha Pointe in Olatha, Kansas has hosted more than a thousand dads and daughters in his community for the special event. Since then his idea has caught on like wildfire as hundreds of Chick-fil-A restaurants around the country now host their own Daddy Daughter Date Nights. 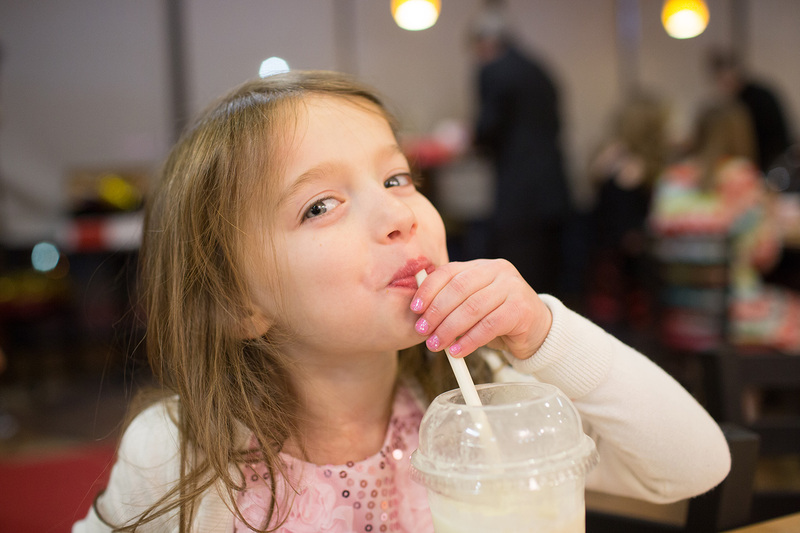 In Atlanta, the last weekend before the Valentines Day, Chick-fil-A restaurants throughout the metro area hosted their Daddy Daughter Date Nights. The event, hosted annually, allows dads to make a dinner reservation at their local Chick-fil-A restaurant. Each local restaurant adds special touches, such as: flowers, dancing, red carpets, or in some cases, carriage rides to create a meaningful memory for dads and daughters. But daddy-daughter dates don’t have to be limited to an annual event. If you’re the dad of a little girl, a grown up girl, or a somewhere-in-between girl, we’ve collected a few tips from several Atlanta dads on how to create an evening worthy of any princess. It sounds obvious, but half the battle is carving out time. Start by thinking about what would matter most to her. Is it taking a walk around the neighborhood once a week? Going out to breakfast once a month? Or an annual special event you can enjoy building anticipation around? Whatever you do, put it in your calendar and plan for it. Also, be realistic about how often to schedule events—you don’t want to have to cancel. 2. Start early. Start now. Whether she’s three months, three years, 13 or 30, it’s never too early (or too late) to take your daughter out. Just ask Scott Dowell. He’s been chaueferring his daughters Catherine and Evelyn to Daddy Daughter Date Night since 2009, when Catherine was two and Evelyn was an infant. 3. Get dolled up…that means you too. Paint her nails and whip out the curling iron. Date night with Daddy calls for looking fabulous. And Dad, don’t be outdone by your little princess. Make sure you put your best food forward too. Sports jackets and cologne are spot on for this special night. 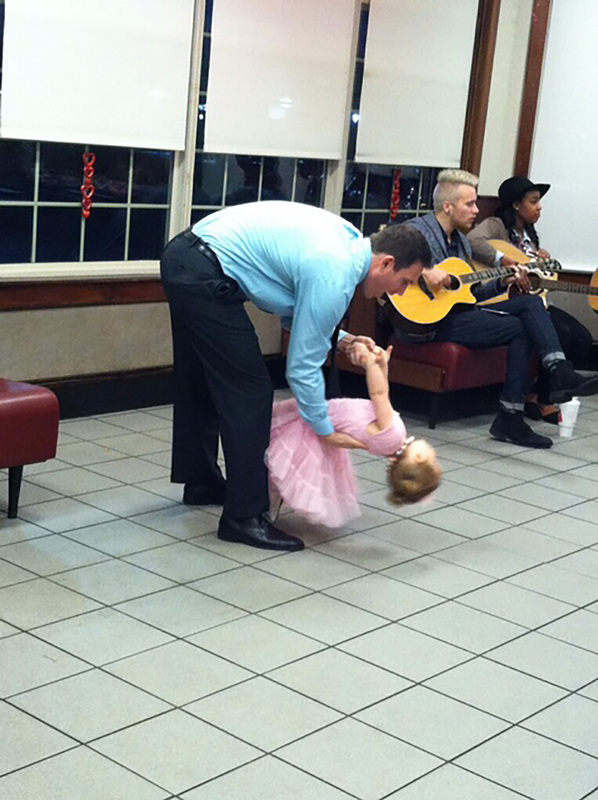 You don’t have to be at a Daddy Daughter Date Night, like Tony Nelson and his little girl Claire, to whisk her off her feet. Even a dance party in the living room will get the date started out right. If you’re staring at your phone, you just might miss her sweet face, or the nuances in her voice when she’s telling you a story. Force yourself to put the phone away or leave it in the car. Time with your daughter, no matter how old, is precious and can be shared on social media later. 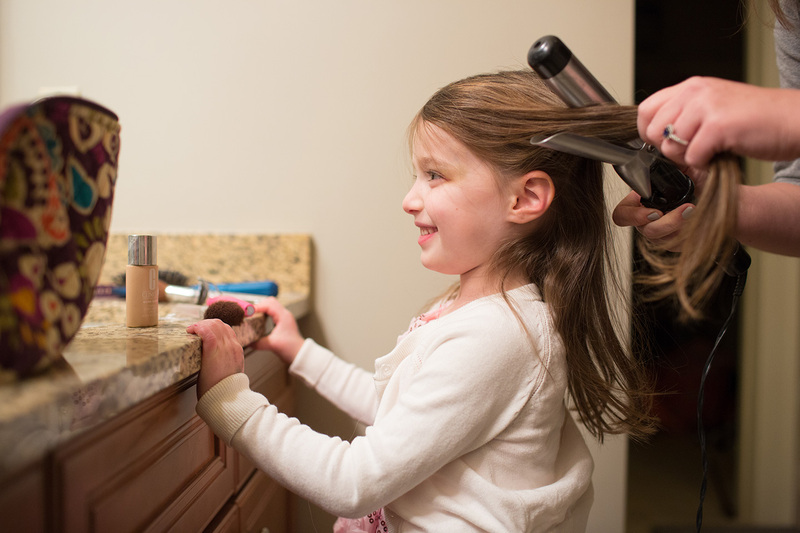 By setting the example, you may find she sets aside screen time too. 6. Get the conversation started. Some dads know exactly what to talk about with their daughters, but in case you need a few ideas, here’s a few open-ended questions that should help create conversation. What is one thing you think you will definitely be great at when you’re an adult? If you could spend more time doing anything in the world, what would it be? If you had a robot that could help you with one chore, what would it be? What makes a good friend? Why? In what ways do you think you and I are most alike? Different? During a normal day of work, what kinds of things do you do? What is the most amazing this you have ever seen with your own two eyes? What’s something adventurous you wish you could do? For more ideas for creating father-daughter time together, check our online Memory Maker. 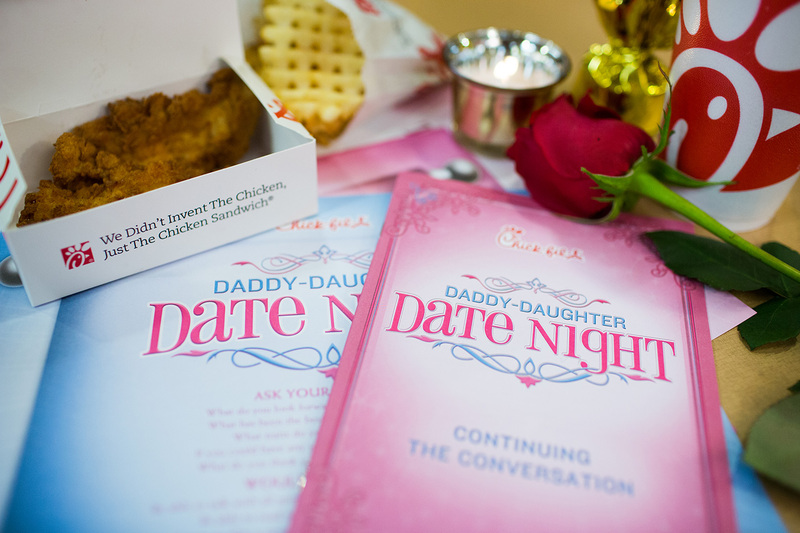 For information on where a Daddy Daughter Date Night is scheduled near you, go to your local Chick-fil-A or look them up online.